ACR Commercial Roofing has served over 10,000 pleased clients singlehandedly. If you have an industrial or commercial building in the Lubbock, Texas area don’t wait, call us today. We will search for the best metal roof replacements for your building. Contact us today at (806) 712-8162 to get a free onsite roof evaluation. 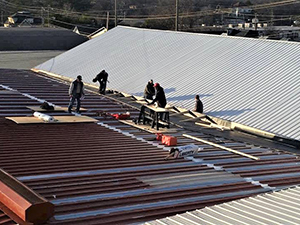 If you are searching for a very effective way to protect your building while improving the outside of your building, you should choose metal roofing. If you would like to know more about metal roofing call us today at (806) 712-8162. Our main goal is to be your first option for any and all of your companies roofing needs. 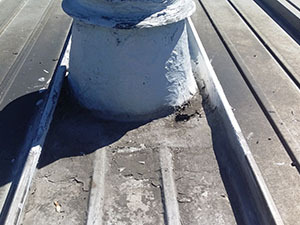 We have you covered whether your flat roof has a leak and you need our flat roof repair services, or you just want to check on the status of your roof with one of our free roof evaluations. We will offer you metal roof replacements at competitive prices. You can count on us to do any kind of commercial roofing services you can think of. Give our team a call at (806) 712-8162. We can schedule a day that works for you and we can swing by.